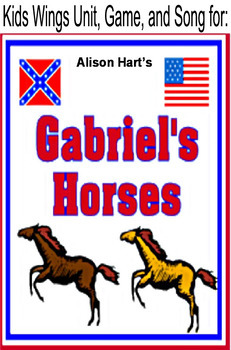 Gabriel's Horses by Alison Hart, A Powerful Civil War Story Featuring COURAGE! Gabriel was a slave. He lived in Kentucky on a race horse farm where he groomed and exercised Master Giles' race horses. His father worked on the farm as the horse trainer. He did more than dream of freedom. He worked for it. Pa was a free man. Soon, he would have enough money saved to buy his wife's freedom, and later, Gabriel's. Gabriel had two dreams. His first was to be free. His second was to be a winning jockey. Impossible, but the Civil War had begun and things around them were changing. Kentucky was a Union state, loyal to the North. President Lincoln had said that if Kentucky would stay in the Union, they could keep their slaves. So, Gabriel and his mother continued to work as slaves. It could have been worse for Gabriel. He could have been a field hand. He could have never had the chance to get to know and love Master's race horses. He might never have the chance to step onto a race track aboard Tenpenny... a headstrong colt who could run like lightning. 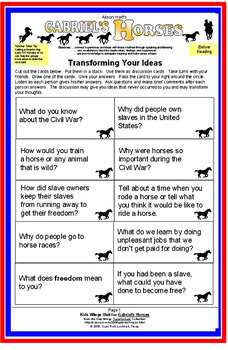 But there were the Confederate raiders, who raided farms and were determined to steal horses. What would happen when Gabriel came face to face with One Arm, the ruthless leader of the raiders? 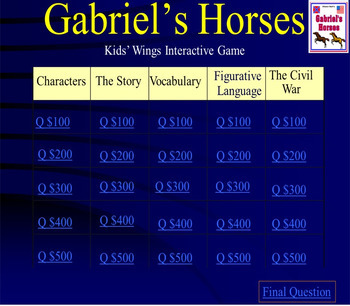 This is the story of loyalty, perseverance, determination, and transformation...the transformation of a fearful boy who is suddenly thrust into the shoes of a man...and who must decide what is most important: the horses for whom he cares or his own life. 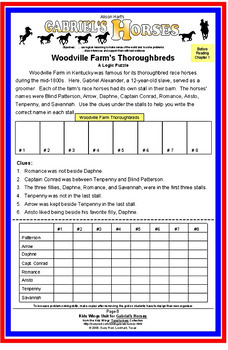 Gabriel's Song and Lyric Writing for Summary Activity!